With the still-gestating Goodfellas TV series proving you can make a show out of any Martin Scorsese movie and we can’t do nothin’ about it, Miramax and the director himself have teamed up to develop Gangs Of New York as a weekly drama. “This time and era of America’s history and heritage is rich with characters and stories that we could not fully explore in a two hour film,” Scorsese said, willfully ignoring that, actually, Gangs Of New York was just under three hours, and maybe he could have fully explored them all if he’d cut down on the Cameron Diaz. 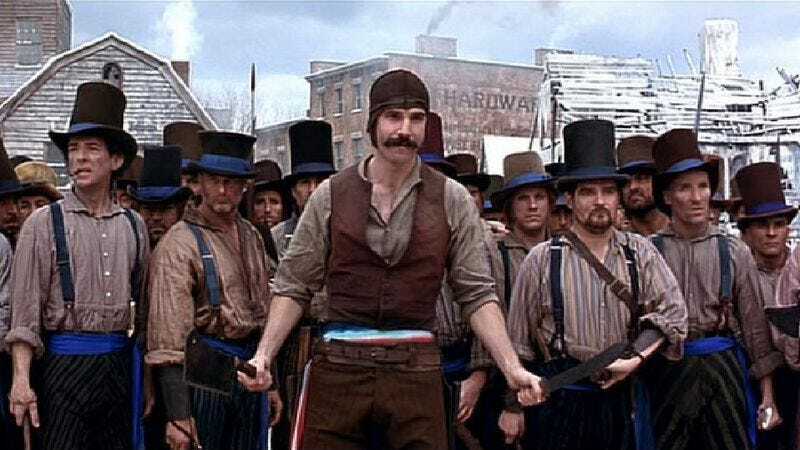 Nevertheless, Scorsese sees a Gangs series as a chance to spend more time in the 19th-century world of rival tribes scrapping for their little corner of America—a war that, as with that other Scorsese-produced, proto-gangster show Boardwalk Empire, will be expanded here to explore similar turn-of-the-century tiffs in cities like Chicago and New Orleans. (“And no, I don’t watch Copper,” Scorsese did not add, obviously.) Should the show proceed to series—and given who’s behind it, that seems likely—we could soon see a day where Gangs Of New York, Boardwalk Empire, and Goodfellas coexist on television, ensuring no single era of American gangster stuff goes without its very own show.